No, before you ask – we’re not entering anything into the Allotment Show. We’re way too new! Though we will go along on Friday and see how things are. It will be great to meet more people, and I’m always keen on getting any tips as we need all the help we can get for sure. Plus there’s a cheese & wine evening afterward so that sounds good too. 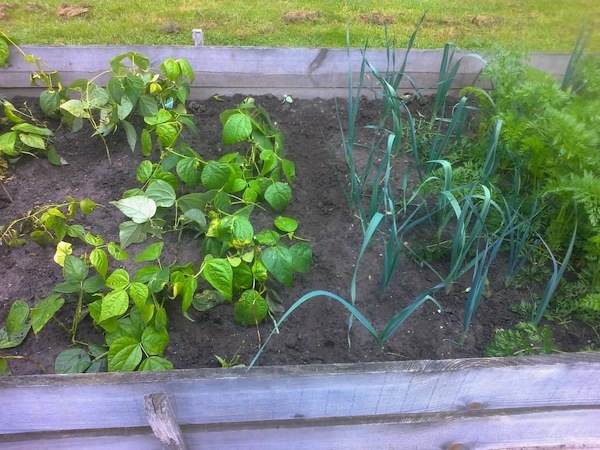 Anyway, today K and I weeded and watered the allotment, and K took out the French beans (which are basically over) and planted peas and leeks instead. He also planted more beetroot, as we’re really enjoying that, so hopefully they should work okay. Today’s harvest included everlasting spinach, the last few of those French beans and two beetroots. We ate the spinach for lunch, but I’ll do the beetroot and the beans tomorrow. Gorgeous weather today too, so it was a pleasure to be out there. 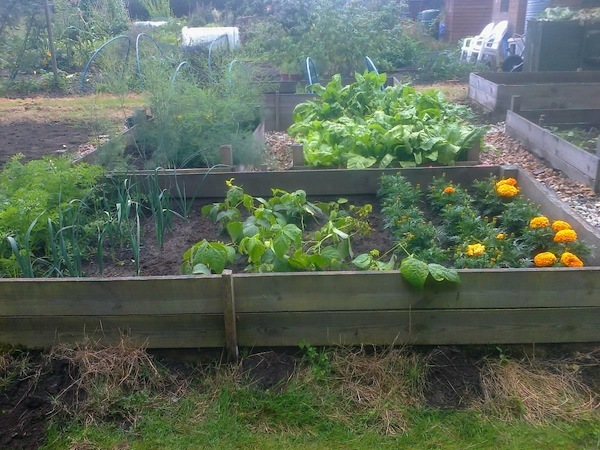 Categories: Allotments | Tags: allotments, beetroot, french beans, harvest, spinach, weeding | Permalink. 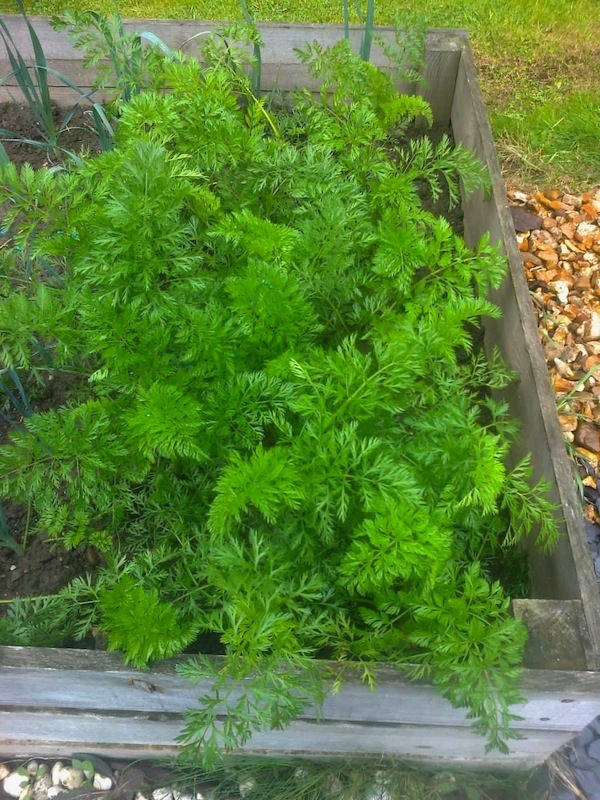 Gave the allotment a good weed today – nice to be back there after a brief health relapse mid-week. Think I’m about 85% there now on the wellness front, hurrah. We didn’t bother watering the allotment though as it’s supposed to be torrential rain tomorrow so there’s no point. Everything appears to be doing well. 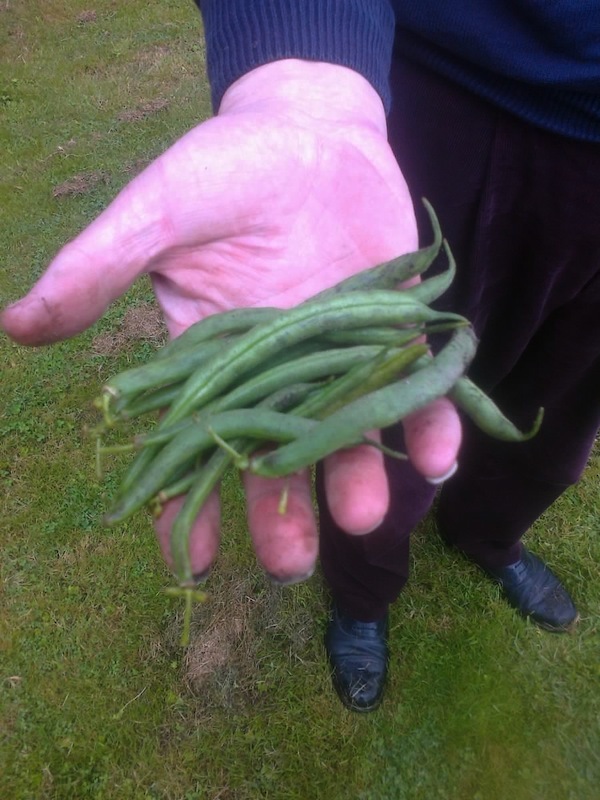 We harvested some more of the everlasting spinach, the French beans and our first beetroot. Double hurrahs and put out the bunting! It’s not the biggest beetroot in the world but it’s obviously perfect. 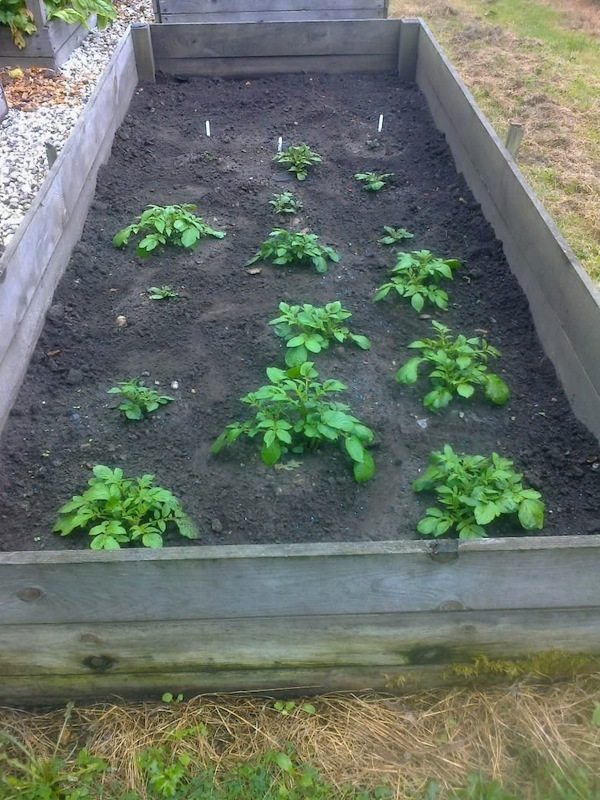 Plus K planted some more potatoes in the potato bed, so that’s all filled up now. We also met another fellow allotmenteer who gave us some very helpful hints on dahlias. I love dahlias and they did very well in our garden last year, but not so well this season. Apparently the answer is lots of feeding and compost. Thank you, Michael, for those tips! 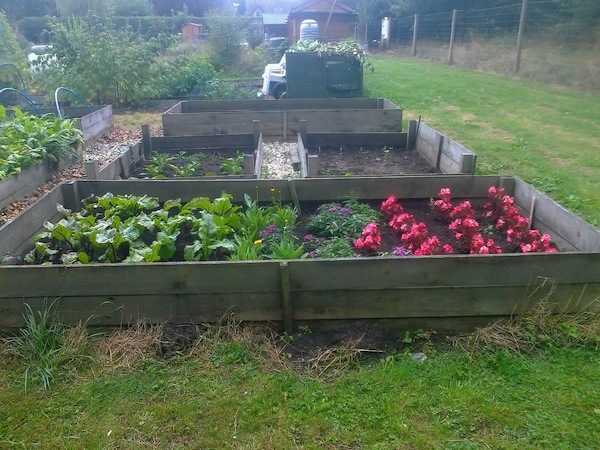 Categories: Allotments, Gardening | Tags: allotments, beetroot, french beans, harvest, potatoes, spinach | Permalink. Missed my usual Thursday afternoon session at the allotment as I’ve not been well this week. However, things are much improved today, so K and I spent an hour at the allotment this afternoon, weeding and watering stuff. 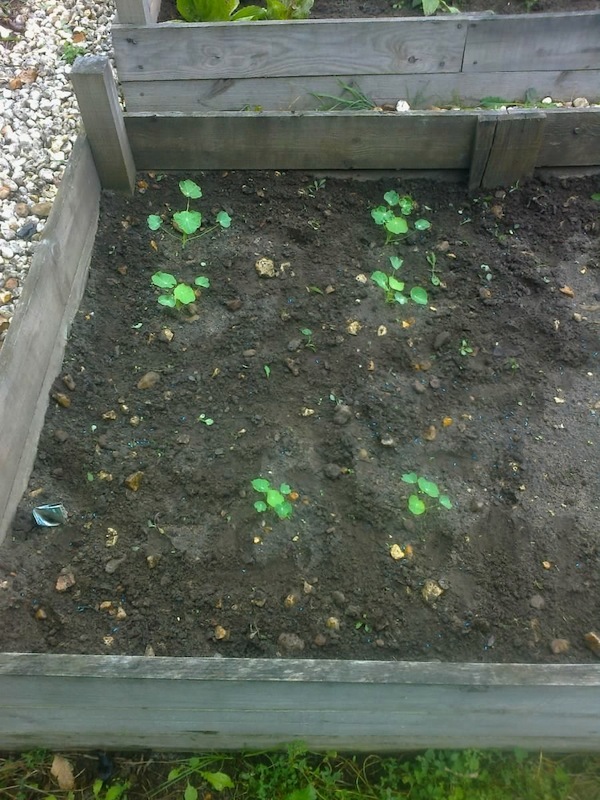 Nice to see a few nasturtium seedlings making their way above ground, and the sunflowers have more blooms on them too. Plus the beans and lettuces look pretty good, I’m happy to report – though there are of course one or two casualties here and there. 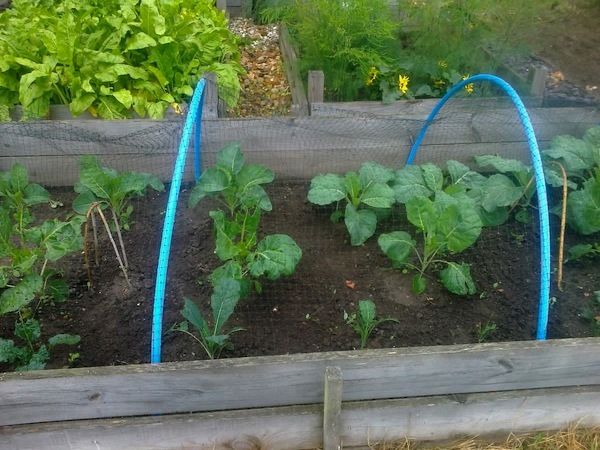 K has also removed the fleece from the cabbages and put wire netting up instead – which certainly makes watering less of a challenge. Still, some of the cabbages are getting eaten so we must bring the bug spray next time we go. It was also a pleasure to meet another of our allotment neighbours who very kindly donated a spare cucumber to my small harvest of left-over perpetual spinach – which was much appreciated! By the way, I can see why it’s called perpetual spinach – it’s the gift that keeps on giving for sure. 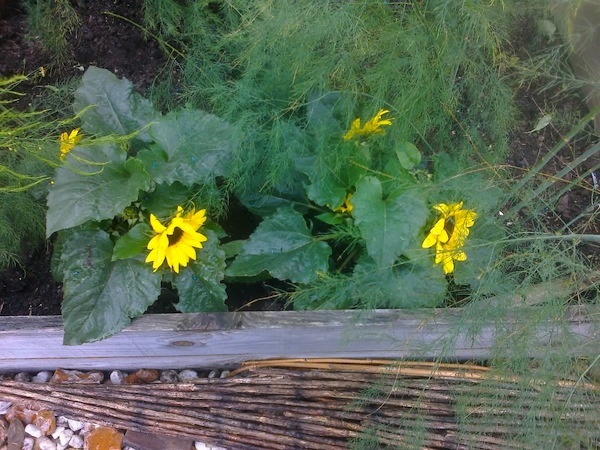 Categories: Allotments | Tags: cucumber, harvest, spinach | Permalink.